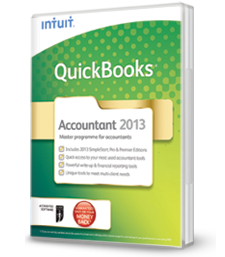 Quickbooks 2014 has now been launched by Intuit UK and comes in many different guises. Here is a brief rundown of the various products now available. We provide training in all versions of Quickbooks 2014 and of course previous versions . Quickbooks 2013, Quickbooks 2012, Quickbooks 2010, Quickbooks 2008, Quickbooks 2006 and earlier versions. Septemeber 2012 comes Simple Start 2013. This is a basic package that will enable you to get going keeping your business very quickly with a guided set up and easy to learn. You can create professional looking quotes and Invoices then email them to your customers. Quickbooks Simple Start comes with 14 basic reports including profit and loss and balance sheets. You can also prepare VAT Returns in Quickbooks simple start but only on a cash basis not the normal accrual basis. For Training in Quickbooks 2013 Simple start contact us NOW ! Multiple Currencies in Quickbooks, Budgets in Quickbooks . simple Stock control within Quickbooks . We can provide Training on all these areas at your premises. Stock features you will be using Quickbooks Premier or Quickbooks Enterprise. Either way you want to understand exactly how the Stock system works within Quickbooks and how it effects your Financial reports. We can show you with your real data how Quickbooks Stock works. We can train you on these and everything else that Quickbooks Accounant 2013 does at your premises on a one to one basis. Contact us here for more details and for an individual quotation. This is the most advanced of the Quickbooks products and can have the more advanced stock features available such as multiple stock locations. Up to 30 users can use this product. Ensure that all your users know what they are doing. There are advanced user option facilities which will allow you to limit what users can and cant do within the program. Book a Quickbooks Enterprise Solutions 2013 Training course at your premises today. Whichever of the Quickbooks Online versions you are using we can provide training for you. If you are using a Mac you can of course use Quickbooks Online. We have recently seen an increase in the number of clients using Quickbooks Online and are able to provide full training and set up in all Quickbooks Online Versions. These products are being undated all the time by Intuit the makers of Quickbooks so make sure you are getting the best out of your quickbooks online version by having some one to one training at your premises that is relevant to you. From April 2014 UK Employers will need to file information directly with HMRC on a RTI ( Real Time) Basis. So your payroll program will need to be compatible. Quickbooks 2013 Payroll will be RTI Compliant and an update issued directly to subscribers. If you need training on Quickbooks Payroll we offer a complete Quickbooks Payroll RTI Training program which will cover this area and all others in respect of running Payroll for your business. Quickbooks is a registered trademark of Intuit UK Limited. All Images belong to Intuit UK. The Mobile Accountant is a registered Pro Advisor .